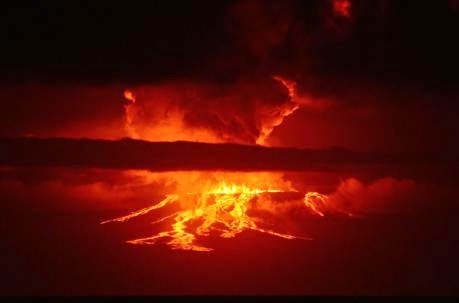 Volcan Wolf is erupting right now on Isabela Island for the first time since 1982. It's a spectacular sight to see. No human population will be harmed by the eruption. 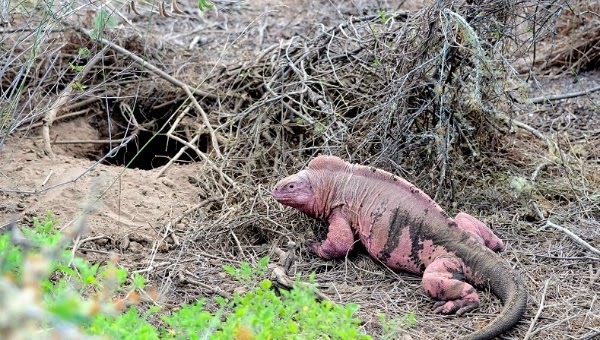 Importantly, the Galapagos National Park Service is reporting that our endemic pink iguana population is not currently at risk. It has been reported that the lava is flowing down the volcano's southern face but that the iguanas inhabit the other side of the volcano. 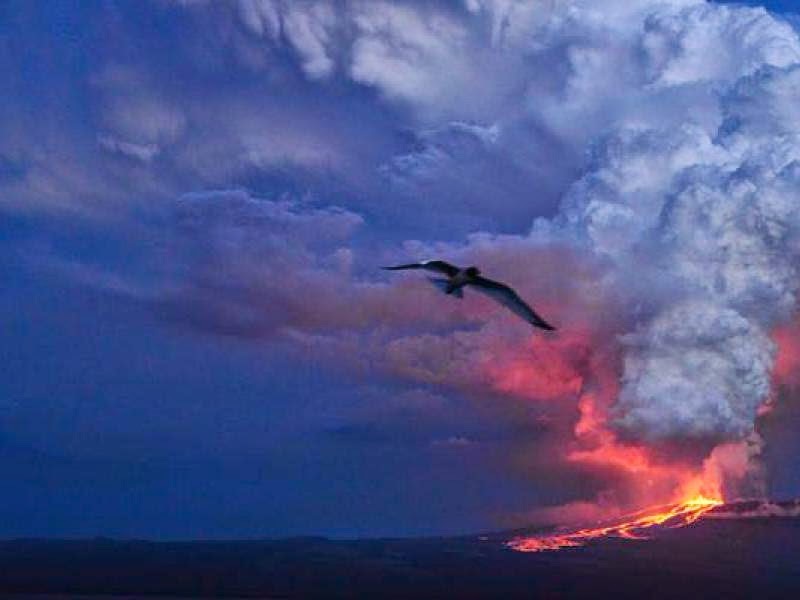 The lava appears to be flowing into the sea, and there is no prediction as yet regarding any effect on marine life near the base of the volcano.